First we got a GeForce GTX 1060 with GDDR5X memory and now there's a GDDR5X variant of the GeForce GTX 1070. 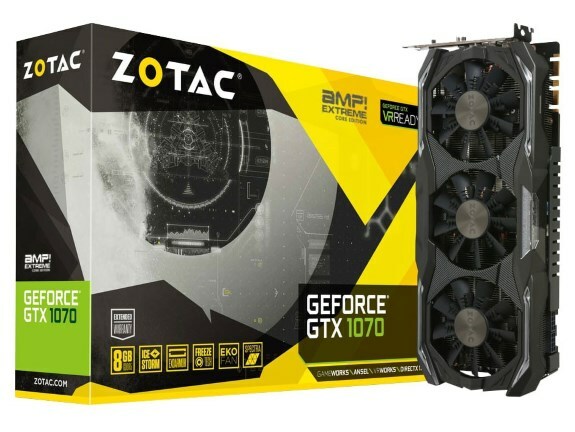 TPU has all the details of the Zotac GTX 1070 AMP Extreme Core GDDR5X (model: ZT-P10700Q-10P). This card features a GP104 GPU with 1920 CUDA cores a 1607MHz base clock and 1797MHz Boost. It has 8GB GDDR5X memory but sadly it's clocked at just 8GHz. Basically, it looks like someone is trying to get rid of lower-binned GDDR5X memory chips.